The DevExpress Theme designer is now available through the publish-only GitHub repository. The new distribution method offers faster downloads, access to previous versions, and release notes – all in one place with a familiar UI. Theme Designer v19.1.1 adds support for the Incremental Build functionality. Similarly, to Visual Studio, the Theme Designer can now process only those files that need updates. As a result, themes can be built up to 2-times faster. If you need to completely rebuild a theme, use the Rebuild / Clean commands. The Output Window now offers three different views: Build, Preview, and Logs. Build. Displays build error messages and notifications. Preview. Displays preview error messages and notifications. Logs. Displays complete application log messages. The Theme Designer’s UI no longer displays nested borders. The new Theme Designer doesn’t require you to resolve file version conflicts using the KDiff3 tool. New resolution methods allow you to keep your local file (Mine) or overwrite it with the updated version (Theirs) in one click. The new Show in Explorer and Copy Path commands allow you to locate an open file with ease. 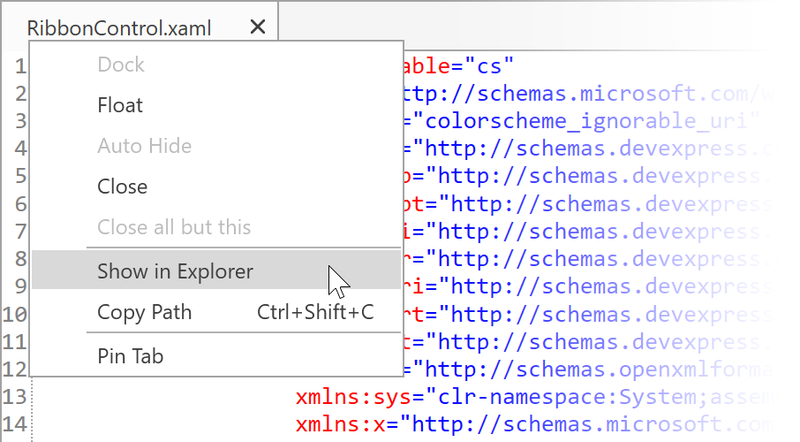 Browsing the Open File dialog is no longer needed if you’re using an external editor. Simply paste the path from the clipboard or drag-and-drop the file from Windows Explorer. The Theme Designer now keeps track of the files you had open between editing sessions. If you close and re-open a theme solution, you’re automatically back to the point where you left off the last time. 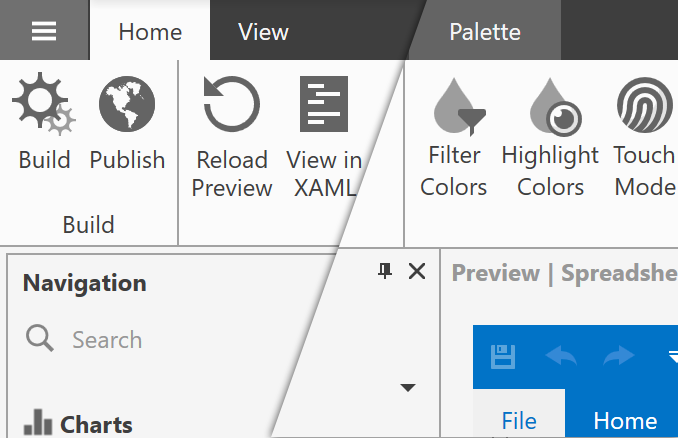 To try out the capabilities described in this article, download the latest WPF Theme Designer from the GitHub repository. Let us know what you think of this update. Specify whether or not you require additional functionality. Use the comments section below or open a new Support Center ticket.